Women are joining the hunting ranks at a faster rate than men. But, we ladies still encounter a few problems when it comes to learning the sport. The No.1 problem for women going afield is trying to find places to hunt. The No. 2 problem? You guessed it. Sometimes it’s you guys. Don’t get us wrong. We’re not trying to man-bash. We love that you’re willing to take the ladies in your lives hunting. But, sometimes you guys make mistakes – big ones that may prevent us from wanting to ever hit the woods with you, or anyone else for that matter, ever again. If you truly want us out there with you, then read on to find out how to make our experience more enjoyable. If you don’t, then read on to learn how to ensure that the ladies in your life will never want to go hunting again. The Solution: Make sure she is familiar with her gun or bow before she hunts with it. Has she patterned that shotgun or sighted in that rifle? Does she know all the safety rules for handling firearms? Has she practiced with her bow? Education on how gun or bow works and what it will do is paramount to success in the field. Also, think about recoil and noise. You can greatly aid your lady friend by making sure that she has hearing protection and that she wears shoulder padding. They even make a recoil pad that pins under a shirt on a bra strap, but it’s probably best to let her do that – unless you ask first. “I try to be just one of the guys when I’m hunting with men, especially if I’m the only lady in camp. I don’t get offended easily, but that doesn’t mean I want all sense of decorum and class to be tossed out of the window. I once hunted with a guy I’d never met who not only burped inches from my face, but he peed right in front of me as well. Let’s just say that put a bit of a damper on my hunt. I also hunted with a guide who proceeded to show me vulgar photos of women on his cell phone. Only minutes after meeting me, another guide felt the need to tell me about all of his and his friends’ forays with prostitutes. There are some things female hunters don’t want to see or hear about, at least not this female hunter.” – Stephanie Mallory, Realtree blogger, owner of Mallory Communications Inc. The Solution: Sing it, ladies … R.E.S.P.E.C.T. “Animal House”-type antics never belong in hunting. Treat the lady hunter how you’d want someone to treat your mom, sister, grandmother or any other female in your family. A good rule of thumb is to let the female hunter set the tone for your hunt. She may be prim and proper, or she may be as crude as a Bob Saget stand-up routine. If you don’t know her that well, play it safe and display good manners. Avoid vulgar language, sexual innuendos and crude behavior. If she’s your buddy, wife or girlfriend, then you should already know how she wants to be treated. If you haven’t figured that out yet, then enjoy what little time you have left with her. The Solution: Never put your lady in danger, from the weather or anything else. If she’s the mother of your children, consider whether or not you have enough insurance to raise said children properly with an English nanny? Stephanie and I have four children each, and believe me, our husbands could not afford the quality of care that we dish out to our kids. The Solution: Yes, we ladies understand that killing is part of the deal. But nothing will sour a woman’s taste for the hunt more quickly than when a man acts cruel or indifferent about the animals he’s hunting, or not hunting. If you show respect for the life you are taking, your female hunting companion will in turn have more respect for you and for the sport you love. The Solution: Assuming that she’s had all the training mentioned earlier, and that the recoil or noise is not the reason she hesitates in the clutch for the shot, she might not be ready. Or, she may not want to shoot that particular animal that day. It is her choice, not yours. You cannot rent the space in her head as to why she let an animal walk, but you might ask her to explain her reasoning to you. Do not judge. Bring chocolate. The Solution: We guess no one has to tell you that, as a whole, women like to talk. In fact, some researchers claim that the average woman speaks 13,000 more words per day than the average man. So talk back. Encourage questions and answer them thoughtfully. One of the biggest complaints women have about their romantic relationships with men is lack of communication. Lack of communication can be a problem between the male and female hunter as well. You’ll have plenty of time after the hunt to zone out in your lazy chair while recovering from the exhaustive effort of speaking all those extra words. The Solution: Let’s face it: Patience isn’t always your strongest virtue. But it’s important, especially when you’re hunting with a new female hunter. The best teachers are patient teachers. 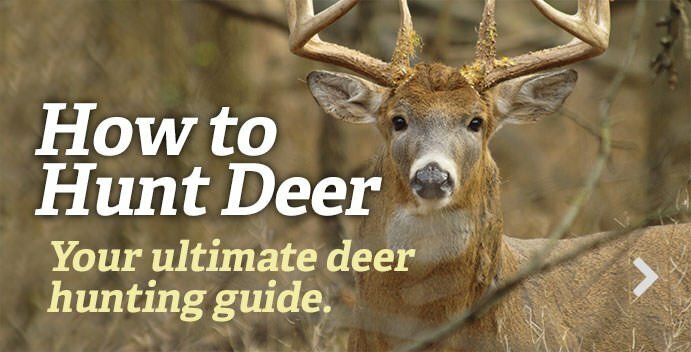 Take time to instruct and explain the process throughout the hunt. Remember, this is all new to her. If you become short-tempered, impatient or irritable, you’ll ruin the whole point of the hunt, which is to have fun. And you’ll have an upset woman on your hands, which isn’t fun either. The Solution: Yes, we want to be comfortable and content, but we’re not afraid to get dirty and brave the elements when the situation calls for it. Don’t just assume the female hunter doesn’t want to get wet, muddy or tired. She may be just fine with crawling through that mud hole or sitting in the rain while waiting for a turkey to show up. All you have to do is ask her. She’ll let you know what she’s willing to do or not to do. The Solution: For many guys, it’s all about getting the job done. You set a goal of taking an animal, and you want to accomplish that goal. But, education and fun should be part of the goal as well. Use every opportunity to teach and explain what you are doing. In fact, don’t just wait until the day of the hunt to involve the female hunter. Get her involved before season when you are scouting, planting food plots, hanging stands, etc. Involving her throughout the process provides her with more enjoyment and a sense of accomplishment as well. The Solution: News flash: no one likes to be treated as if they’re incompetent. If you don’t know the woman, don’t just assume she's incapable of loading her own gun, driving an ATV, calling a turkey or any other skill one might use while hunting. Again, all you have to do is ask. She might surprise you. Editor's Note: This was originally published on September 8, 2014.